Isaiah might be the happiest baby you will ever meet. He is constantly smiling and laughing, in spite of the challenges he has faced since birth. He was born May 19, 2015 and has had complications and health issues ever since, due to Fetal Alcohol Spectrum Disorder. He and his older brother Grayson came to live with their grandparents after spending 74 days in NICU as their parents could no longer take care of them due to addiction issues. Grandma and Grandpa are adopting both boys and are near the end of the of adoption process for them. Fetal alcohol spectrum disorder (FASD) is a pattern of physical and mental defects that can develop in a fetus in association with high levels of alcohol consumption during pregnancy. Drinking during pregnancy can cause brain damage, leading to a range of developmental, cognitive, and behavioral problems, which can appear at any time during childhood. Because of FASD, Isaiah has brain abnormalities, developmental delays, and continues to be on a pulse oximetry monitor due to life threatening events. He’s had two surgeries, the most recent in early August at Doernbecher Children's Hospital in Portland to help correct issues with swallowing. He had a hole in his larynx which they were able to temporarily repair. He may need another surgery in November to permanently repair the hole. Doctor’s initially said that Isaiah would never walk, but with constant physical therapy they now say he might… but because of the developmental delays it might take a lot longer for him to do so. He can now sit up on his own, but still struggles with balance and is not crawling yet. Isaiah will need speech therapy and constant physical therapy to help him learn to do things that most kids take for granted. Although Isaiah has endured through many tough circumstances… he is a happy, gentle, calm little boy that loves to play with his toys and interact with family and friends. He brings joy to everyone that meets him with his winning smile and contagious laughter! 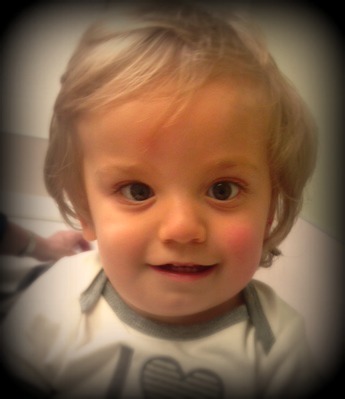 Sparrow Cash raised for Isaiah will help with ongoing medical expenses, travel, and everyday living expenses. Students at Sisters Christian Academy will “earn” Sparrow Cash by completing a minimum of 256 hours of sponsored community service.